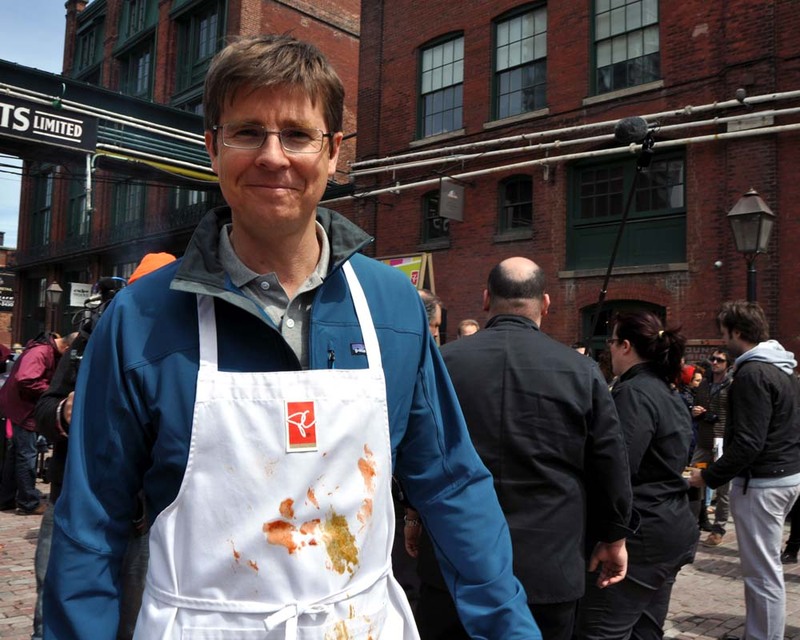 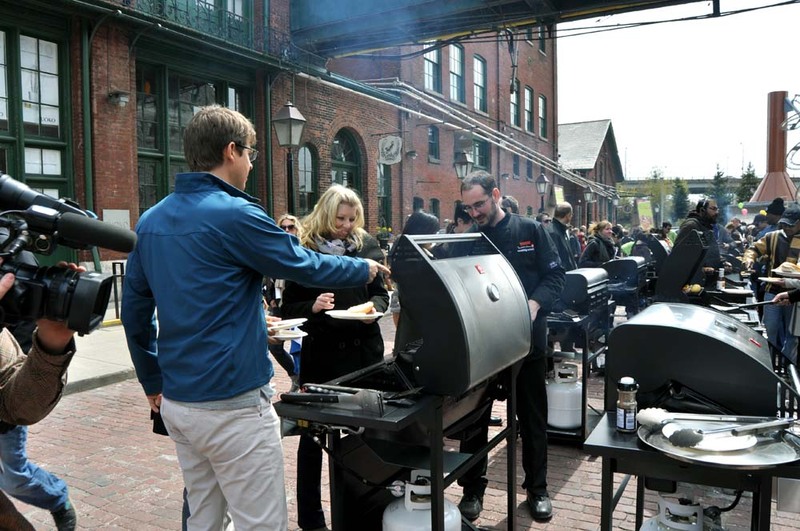 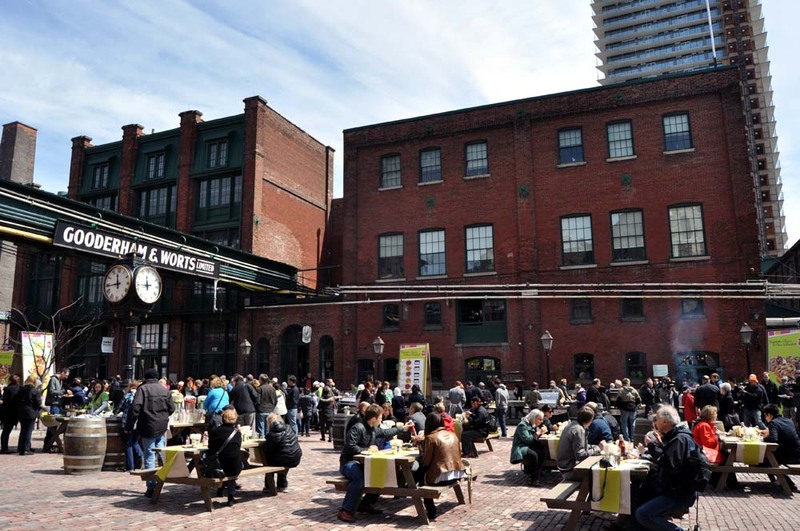 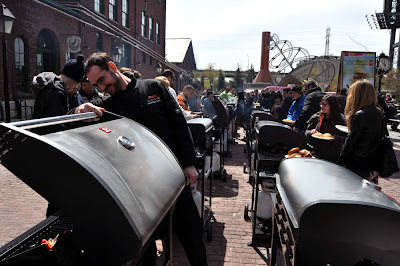 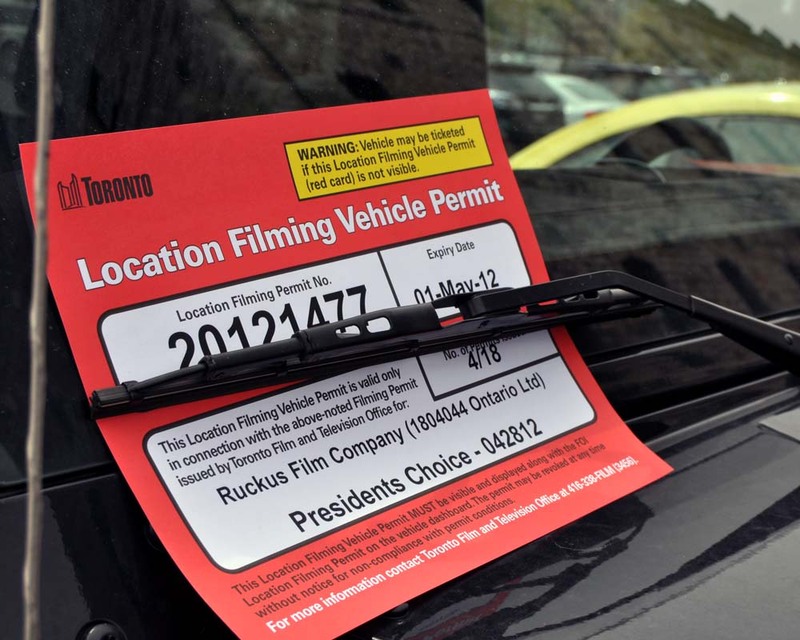 Galen Weston, pictured above, was filming the next President's Choice commercial in the historic #Toronto Distillery District on Saturday, April 28, 2012. 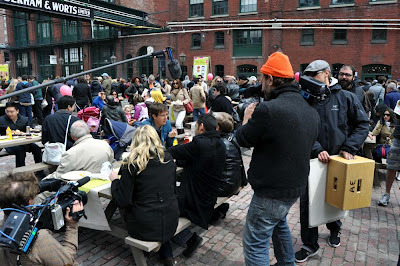 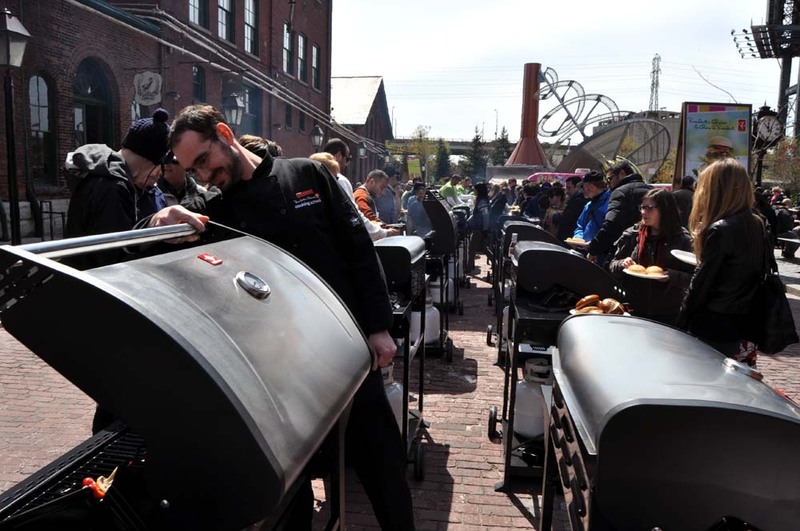 Summer was served with a free barbeque lunch on Trinity Lane as Galen and his film crew mingled with the hundreds who dropped by for the free food and to enjoy the red-bricked neighbourhood. 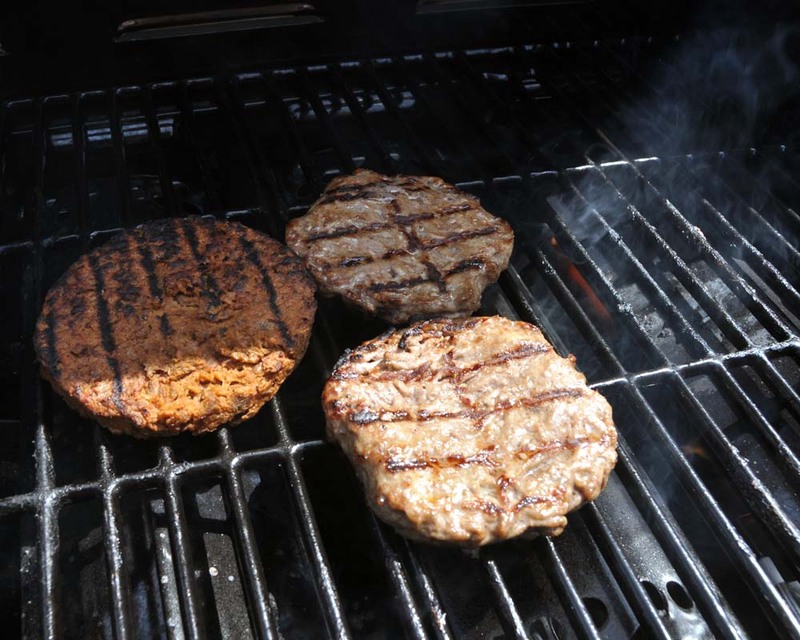 You could pick up President's Choice burgers (including meat free), chicken sliders, corn and vegetable skewers and slap them on a long double row of barbecues, cook your own lunch, then drop by the tables for the fixings, salads, sides and drinks. 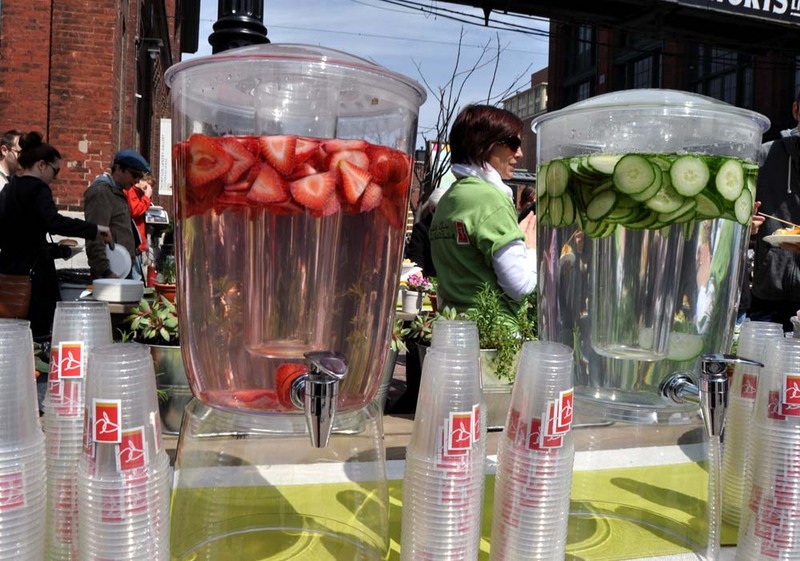 Afterwards you could grab a free ice cream, smoothie bars or ice cream sandwiches. See more of Galen and the President's Choice BBQ after the jump. 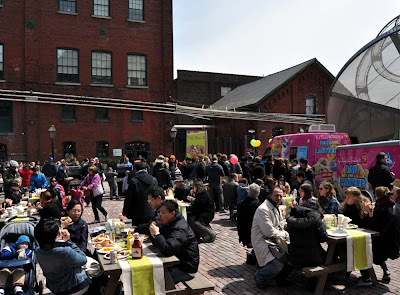 The food was great and tasted even better because it was free. I am sure that many people will be watching the upcoming commercial hoping they can get a glimpse of themselves on television.